It has come to my attention that certain groups or entities have been using my name to try and get donations from seniors. Some of these solicitations imply that folks won’t get their Social Security benefits unless they pay $10 and sign a petition addressed to me. These letters are misleading and aim to prey on those who are vulnerable and worried. No one has to pay anyone in order to share their views with me and these professional petition organizers are not as effective as they may claim. I am working to make sure Social Security benefits remain available for the future to the hard-working Americans who have paid into the system and earned them. Signing a petition or sending money to an unknown agency will not affect your Social Security benefits. Reforming Social Security to make sure it remains solvent will. I want to take this opportunity to remind everyone to remain wary of letters and calls from people you don’t know asking for money. I encourage everyone to contact my office directly if they have thoughts on legislation or want to know my views on an issue. My office number is (202) 224-3424 or you can message me through www.enzi.senate.gov. 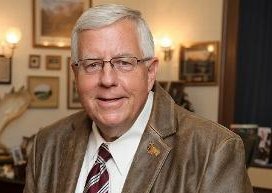 You can also call any of my state offices or make your views known to me by posting on my Facebook (@Mikeenzi) page, messaging me on Twitter (@SenatorEnzi) or even good old-fashioned mail – Senator Mike Enzi, United States Senate, Russell 379A, Washington, D.C. 20510. It won’t cost you anything except a stamp. U.S. Senator Michael Enzi, R-Wyo.